Waterproof without the weight, get on-board with lightweight rubber. 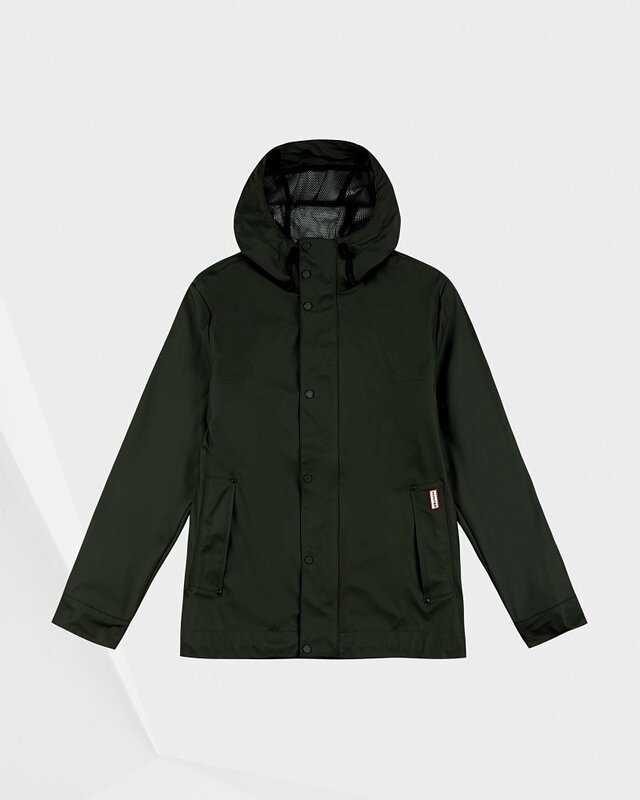 A festival essential, this dark green fully waterproof bomber jacket features a welded seam construction and storm flap closure for superior protection. An open back vent and mesh body lining offer breathability, while the adjustable hem ensures a comfortable fit. Zip up, hood on and let rain start play. Rated 4 out of 5 by david from Light, durable and stylish Great quality. It would have been better if it had inner pockets.